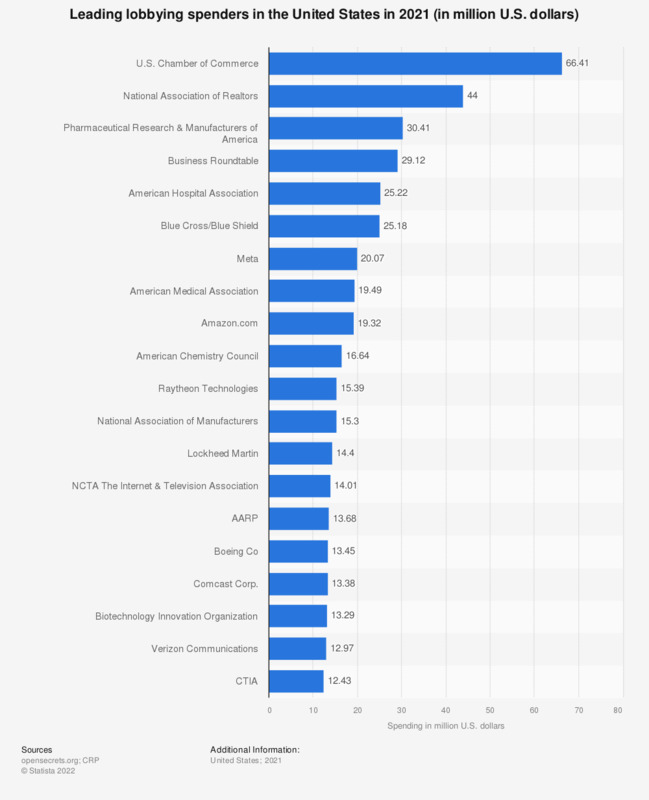 This statistic shows the top lobbying spenders in the United States in 2018. In 2018, the top lobbying spender was the U.S. Chamber of Commerce, with a total spending of 94.8 million U.S. dollars. Depicted are the number of unique, registered lobbyists who have actively lobbied.